Pick up your pencil or open a new document, the time to write is always! The following sites are fantastic resources for supporting author's craft and opening young minds to the creative writing process. Enjoy them as much as we do. Dictionary & Thesaurus: Search for synonyms or definitions to your most-used words. Use the two tabs at the top to navigate between the two sites. English Daily: English Daily is a compilation of American idioms, conversation, English exercises, and so much more. The site is free and simple to click through for use at school or at home. Flocabulary: This growing site provides a library of songs, videos, and activities for K-12 learning. Need a rap to help engage students to learn grammar? There's a Flocabulry video for that. How about the history of Labor Day? Flocabulary covers content in all subject areas. You can register for a free trial or subscribe for all access. Grammarly: Polish your writing in a snap for free; upgrade for plagiarism detection, sentence structure enhancement, and stronger vocabulary recommendations. Grammar Monster: Learn about punctuation, easily confused words, find grammar tests, and more! Grammar Ninja: Grammar Ninja is for students K-8. It provides leveled practice in identifying parts of speech. When students identify parts of speech correctly, a ninja star marks it. National Writing Project: The National Writing project is a network of sites anchored at colleges and universities across the country. It serves teachers at all levels, providing resources, professional development, and research. This source provides parents and educators with resources to encourage children to write. Read Write Think: Use the classroom plans for lesson plans, student interactives, and printouts. The interactives help to scaffold the writing process. Resources here can be sorted by grade level, parent and after school. Our absolute favorite. Rhyme Zone: You may be writing a poem or song lyrics and looking for the perfect word to continue your flow. This simple site provides one, two, three, four, and more multi-syllable rhyming words to the one you're looking to rhyme with. Scholastic's Writing with Writers: View projects by author or by genre. Use teacher's activity guides to scaffold the writing process step by step for learners. Publish work online and read other student writing. Stone Soup: Stone Soup is a digital (monthly) and print (annual) magazine that publishes creative writing by children ages 13 and younger. Contributors are from all over the world. Subscribe and begin submitting student work today! VocabularySpelling City: This site offers free spelling and vocabulary lists based on core standards and so much more. Our favorite are the game-based learning applications that are great for center work. Becoming a member allows a parent, teacher or district to access more games, track student data, and personalize lessons. Wordnik: While we love Thesaurus, Dictionary, and RhymeZone,Wordnik brings it all together. Wordnik shares a word's definitions, synonyms, antonyms, etymologies, hypernyms, equavilents, rhumes, same context, and so much more. This site is a useful source for any language lover. Wordsmyth: A free educational dictionary-thesaurus, this site also has an annual paid level to create content and a level for an educational group subscription. We love the Children's Dictionary, which can be sorted by topic, and the illustrated WILD Dictionary. A great source for teaches or parents. Bruce Van Patter Creative Writing: Bruce is an illustrator who has developed a website full of creative ideas for families and teachers to engage students in creative writing. 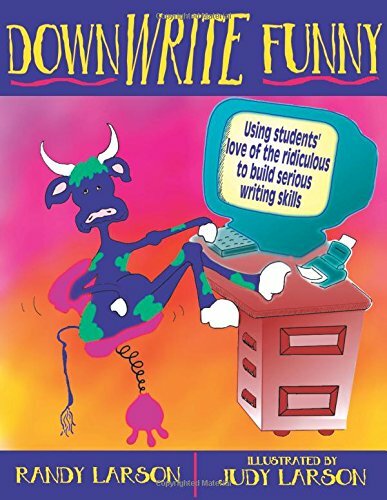 By using drawings, selected images, book cover pages, and other creative writing prompts, this site will have you coming up with creative ideas in no time thanks to the many writing starters shared. Underlined: Highlighting both reading and writing, click on "create" to start writing! Write About: An online platform for writing, students can write from prompts, navigate free choice and creative writing, journal, and more. 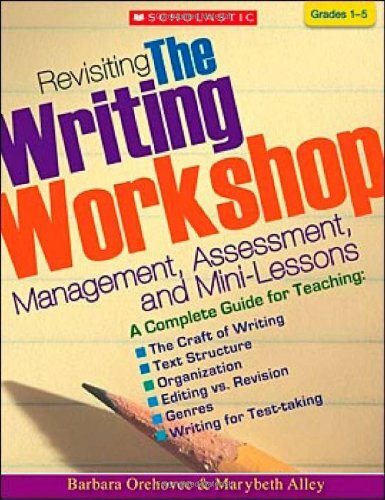 Writer's Workshop is a guided writing process for grades K-8 introduced by Lucy Caulkins that includes the steps of a mini-lesson, time to write, revising, editing, publishing, and an author's chair. Below the stages are described. A mini-lesson is one small component in the Writing Workshop framework, but is the seed that leads to a "blossoming" assortment of writing. Without the seed and careful planning and cultivation of the soil, the flower will not grow. As in nature, so goes the mini-lesson. 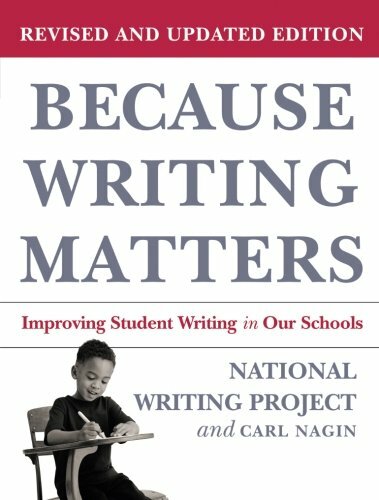 Without the mini-lesson, the writing produced by young learners will not develop and grow into writing that meets the standards and expectations of the school district. A mini-lesson is a short, focused delivery of explicit instruction. It can be one lesson or a series of lessons that focuses on one skill or strategy. The mini-lesson takes place at the beginning of Writing Workshop after careful planning by the teacher. It includes a statement of purpose, a connection to previous learning, followed by demonstration, modeling, or student involvement. Mini-lessons must be kept "MINI." They need to be short and to the point. Mini-lessons that necessitate more than the 5-10 minute allotment for the component are much more successful when taught in a series of short lessons rather than one longer lesson. How Do I Know Which Mini-Lesson to Teach? The selection of mini-lessons to be taught is dependent upon several factors. The first thoughts for consideration are your grade level curriculum, including both state and district standards. Mini-Lessons taught at the beginning of the year are dictated by the procedures that must be taught to make the Writing Workshop successful. Throughout the year, a variety of mini-lessons are taught that coordinate with the processes and content/craft techniques that are taught with genre units of study. 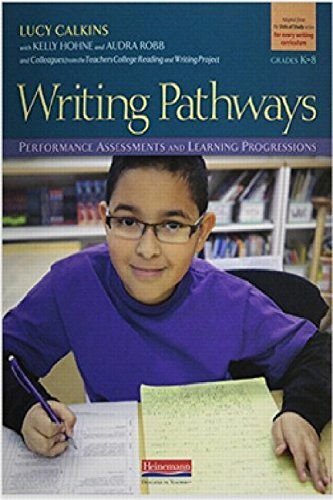 In addition, to grow a colorful and successful branch of young writers, mini-lessons should be planned based upon student assessment, student conferencing, and observation of students and their writing behaviors.When you, the teacher are excited about writing, your students will be, too! Time to Write...What does Writer's Workshop Look Like? After the mini lesson, students work in their Writer's Notebook to collect entries that may later become published pieces of writing. The total writing time lasts for about 35-40 minutes, but during that time some students may be involved in conferences with the teacher or with their peers. Students choose entries in their notebooks to take into "draft form." It is these carefully selected pieces of writing that will be taken through the process of editing and revising so that they can be published and shared with others. All entries in the Writer's Notebook do not become published prices of writing. All published writing is added to each student's Writing Portfolio (Archives), and some pieces will even be put into student created books. At least one published work is chosen to pass along in the student portfolio to pass along to the next grade level. Revision is the ongoing process of improving the content of a piece of writing. Writing can be improved through the addition or deletion of prose contained in a piece. Emphasis should be placed on elaboration of ideas contained in writing through the addition of specific details to paint a more specific image in the reader’s mind. Editing is the process of correcting spelling and grammar in a piece of writing. This occurs after the revision process has been completed and just prior to the publishing phase. 2. Revision Conference - a student may elect to ask a peer to read over their first draft so that it can be reworked to develop better clarity, organization, sentence fluency, etc. 3. Editing Conference - during an editing conference a peer reads over a piece of writing and makes corrections on mechanics and grammar. 4. Publishing Conference - there may be times when a student needs some assistance in deciding how to publish their piece of writing. *Make sure to have students use post-it-notes or a rubric during peer conferencing in order to facilitate discussion and remain on task. Post-it-notes can be split in half to include positives (+) and areas for improvement (-) on the writing piece. Rubrics should be generated to guide students toward expectations of the piece. At the end of writing workshop everyday, students are brought back together for a 5-10 minute group share and reflection. When students sign up to share or are asked to share, they take a seat in our coveted "Author's Chair." Sometimes a writer might come to the author's chair to ask for help or receive feedback from his or her classmates ("I like my story, but I can't think of a good title."). The author might also want to share part of an entry of which he or she is especially proud. During many group shares, each student gets a turn to share a small part of an entry, especially if I have asked students to try a particular new skill during the day's mini-lesson.